Collaborative project sees immersive virtual reality digital factory created for demonstrating the benefits of Industry 4.0. 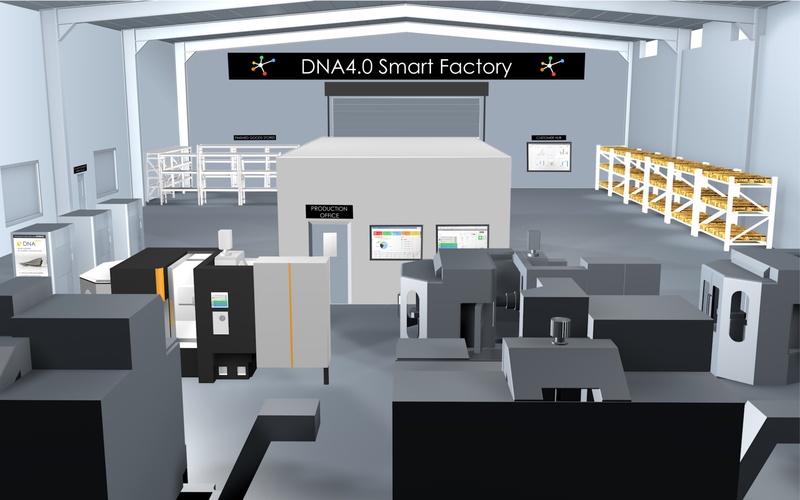 Valuechain, a software company that improves business productivity through digitalisation, is collaborating with Virtual Engineering Centre to launch the DNA4.0 Smart Factory, at the Manufacturer Live, in Liverpool on November 15th. The LCR4.0 funded project will create a virtual rendering of a state of the art connected factory, that utilises the latest digital manufacturing technology and demonstrates best practice use cases of Industry 4.0. DNA4.0 Smart Factory utilises virtual reality to demonstrate the impact of digitalisation on an SME’s valuechain. It follows the journey from sales, engineering, purchasing and raw materials stores through to production, inspection, finished goods stores and customer delivery. The immersive platform also showcases latest advanced manufacturing technologies that Valuechain have implemented with innovative businesses such as Airbus and Bentley Motors.